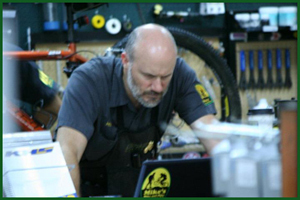 This is the ONLY gear store in Madison & Laurel County for Backpacking, Cycling, & Climbing. When you come in to Mike’s, you deserve and will receive the best attention I can give. Customers in the store are my most important asset and the most important part of my job. I want to provide each person with the best service possible and ensure that you find the best piece of equipment to fill your particular needs. My hope is that every customer feels happy and satisfied with their purchase. For me, gear is not merchandise it is a passion. I want you to share that passion. Mike’s Basic GEAR Philosophy is Simple. When you rely on your equipment and your wits to keep you happy, safe, and reasonably comfortable, you need the best that you can get. This doesn’t mean that you have to have the most expensive stuff, just the most functional. That is what I strive to carry. Everything in the store is here because I or someone I know has personally vouched for the efficacy of that particular item. I choose brands because these are the ones that provide the best equipment for the best prices. Mike’s SALES Philosophy is Equally Simple. If you are going to have to rely on an item, you should have a chance to look at it, feel it, and if possible test it before buying it. I like gear as much as you do, and I love playing with all of it. Come in and we’ll set up the tents, fire up the stoves, ride the bikes, and walk around the town with the backpacks. Try-it-before-you-buy-it is the only way to be sure of your essential gear investments. Bicycles: Style, Comfort, Strength, or Speed–I have the right bike for whatever riding you want to do. All inventory bikes are available for test-rides. 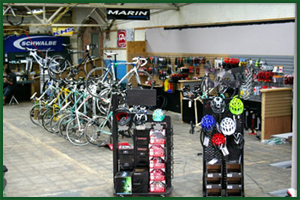 I have a wide variety of new and used bikes in inventory and special orders are never a bother and never get charged extra. I stock a wide variety of parts and accessories for cycling but since my space is limited, some items need to be special-ordered. At Mike’s, you never pay for special orders before they arrive, and there is no obligation to purchase before you have had a chance to hold the merchandise and be sure that it is the item that you really wanted. 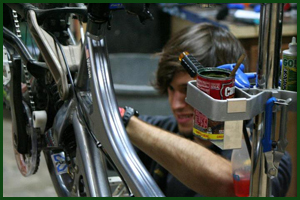 Service: I do major and minor repairs on all brands of bicycles at very reasonable rates. I even have free use of tools and repair stand space for DIY repairs. Climbing: I have harnesses, shoes, helmets, belay devices, ropes and other essential gear. I can even help you learn how to use some of the equipment and let you practice on my practice wall. 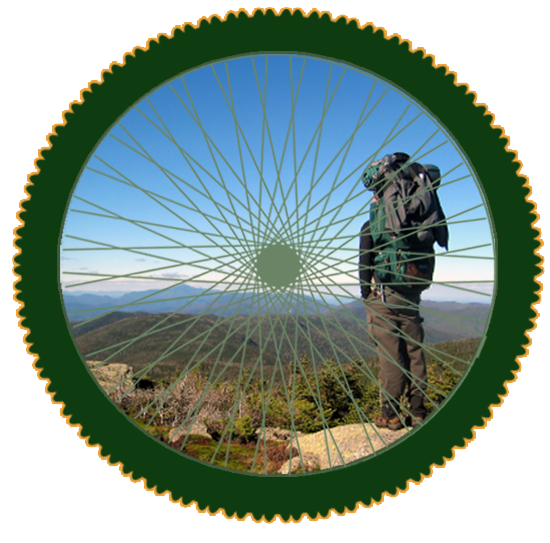 Backpacking: I have everything you need from for shelter, safety, cooking, eating, and finding your way. If it is heavy, bulky, cheap, or inordinately expensive, you won’t find it here. I may not always have the all of the top name brands, but I carry gear that I KNOW works–so you can carry it with confidence. Rentals: At the moment, the only things that I rent are Bicycles. I have Comfort and Urban style bikes for rent at rates from $24.95-$29.95/day.. I plan on having camping/backpacking gear for rent this fall.